One night in 2011, my then-fiancé told me he had a job offer in Paris. I balked. I loved our life (and my job) as it was. It wasn’t that I didn’t want to move to France, it was more I didn’t want to leave New York City. I mulled it over and finally agreed. My one condition was we do the three-year assignment and hustle back to NYC. My ovaries weren’t getting any younger—and I was NOT having a baby in a foreign country. Five years later, we’re still in France… with a three-year old who speaks French much better than I do. How did this happen?! That’s right, the author of Bringing Up Bébé convinced me that it was a great idea to have a baby in France. 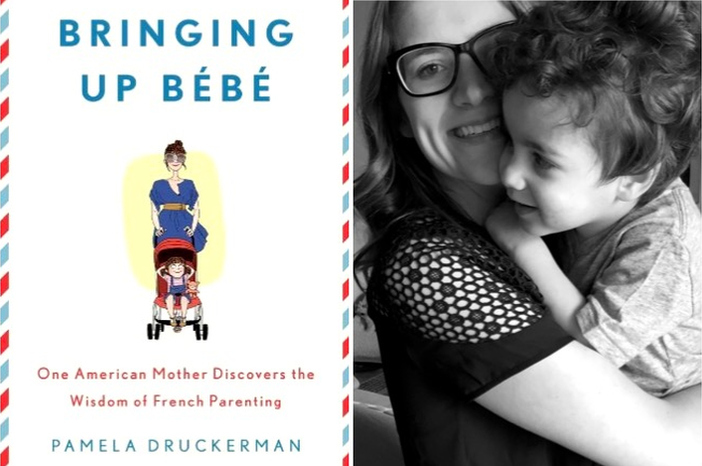 As a childless gal living in Paris, reading her book made me realize maybe I, too, wanted a marinière-wearing bébé who would eat braised leeks and sleep through the night from birth. My imaginary baby could sing French nursery rhymes and would sagely listen when I gently but firmly told him to behave. This was a version of parenting that made sense to me. My husband also read the book and, amazingly, came to the same conclusion. Why would we NOT have a baby in France? What could go wrong? I’ll give this to Druckerman: Having a French baby is the bomb. My pregnancy and delivery were pretty much paid for (as was the post-natal vajayjay rehab my OB cheerfully suggested). The daycare system is amazing and inexpensive. Women are encouraged to lead balanced lives, working and pursuing their interests—not just being defined as moms. Everyone gets plentiful vacation and is encouraged to use it. Raising your child in a different culture is just like the general expat experience: The highs are higher but the lows are lower. The benefits are plentiful, as are the limitations. My son loves Roquefort but he’s never tasted mac n’ cheese from a box. He has an adorable French accent but speaks 100% Franglais, making him completely unintelligible to our American friends and family. The French healthcare system is wonderful but I can only understand half of what our pediatrician says, which leads to panic attacks in the middle of the night that I gave him the wrong dose of medicine. FaceTime with family is great, except now he thinks his grandparents live inside the iPad. He started to cry when he saw his grandfather in person. He didn’t understand why Grandpa was suddenly three-dimensional. The hardest part? We’re 3,600 miles from our loved ones. Some of my dearest friends have never met my son and that breaks my heart. FaceTime with family is great, except now he thinks his grandparents live inside the iPad. We visited the US when he was a year old and he started to cry when he saw his grandfather in person. He didn’t understand why Grandpa was suddenly three-dimensional. They say it takes a village to raise a child. As an expat parent, you have to build your village from the ground up. It can be isolating and depressing. But it’s also uplifting. 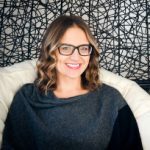 I’ve found an amazing community of international, expat moms who go above and beyond to provide the support we’re all missing. I was recently sick and a friend showed up at my door with soup. Another took took my little guy to the playground so I could rest. Yet another called to make me a doctor’s appointment. That’s a village. Am I happy that Bringing Up Bébé convinced me to take the plunge? Absolutely. I can’t imagine life any other way. Quite honestly, I’m nervous about the day we decide to repatriate as I don’t know how to be a mom in America. What are the rules at the playground? What’s the play date etiquette? Are the mommy wars real? I don’t know! What I do know is that our little family has been irrevocably shaped by this experience. We’ve tried to take the best from each of the two cultures and ignore the parts we don’t like. It’s my hope that our efforts will influence who our son becomes. At the very least, we’ve given him anecdotes (and an accent) to help him pick up chicks later in life. Have you read Bringing up Bébé? Did it make you want to have a baby in France? Let us know here or on Facebook, Instagram and Twitter. 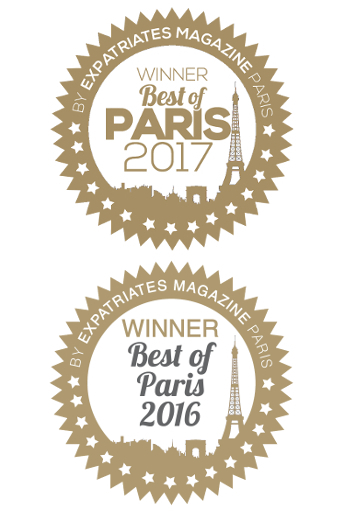 And please do sign up for our newsletter to keep up-to-date with the best of Paris. Pingback: Holiday Giveaway #4: Loyal Hana $100 Gift Card + 30% Off For Everyone!